Do not reply to this email or click on the link contained in the email. 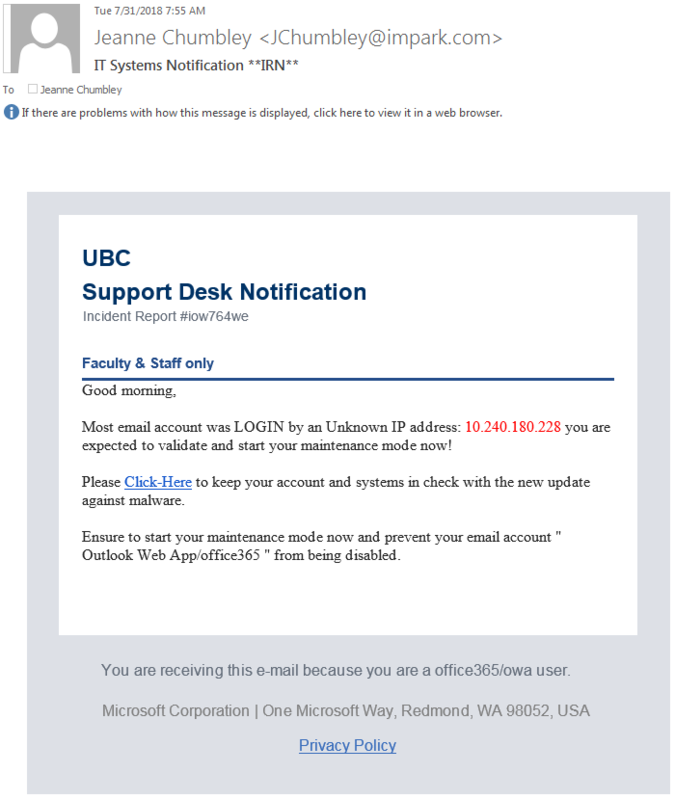 If you think you may have submitted your CWL login credentials, please log into myAccount, change your password immediately and advise security@ubc.ca of the possible temporary breach of your account. The email can be deleted from your Inbox or mobile phone.